First batch, originally uploaded by Roxy_l. I had a good weekend, it was Mothers Day on sunday. So my mum got some pretty flowers from me and my sister. Then I got the urge for chocolate, but exciting chocolate. 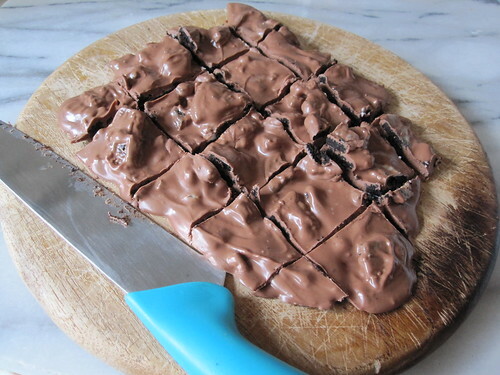 When I was out earlier I had bought oreos and a bar of chocolate, so I mixed them together. It did not last long, and was highly addictive. So I made some more. 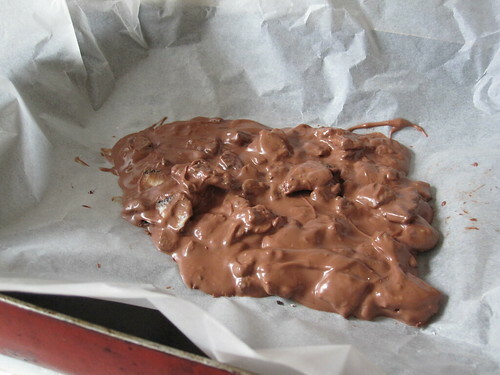 I used two bars of Green & Blacks creamy milk chocolate and melted it using a pyrex bowl over a pan of hot water. Don't let the water boil and keep the heat low. Once it had all melted I broke up around 6 oreo cookies, then just dropped them in and mixed it up. 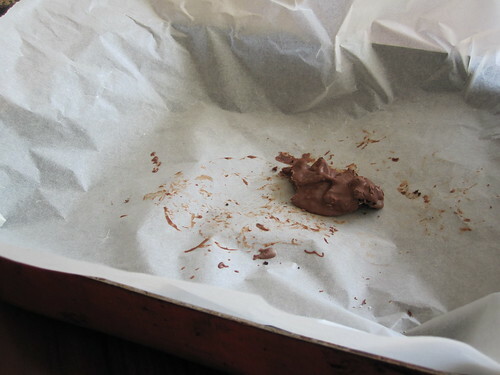 I lined a tray with greaseproof paper so it is easy to lift when it is set. I poured the melted mixture in and waited a few hours for it to set. When set I just simply lifted it out and cut it up. Ready to eat. This is soooooo good, but I need to be careful not to eat it all to myself.